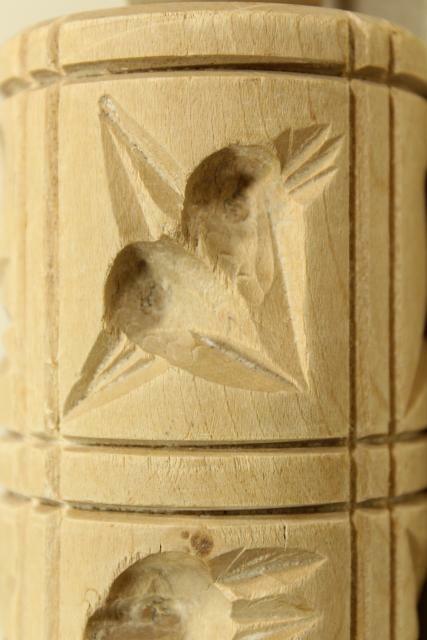 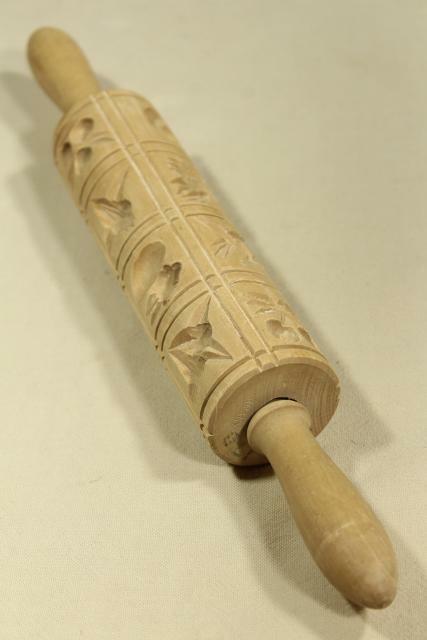 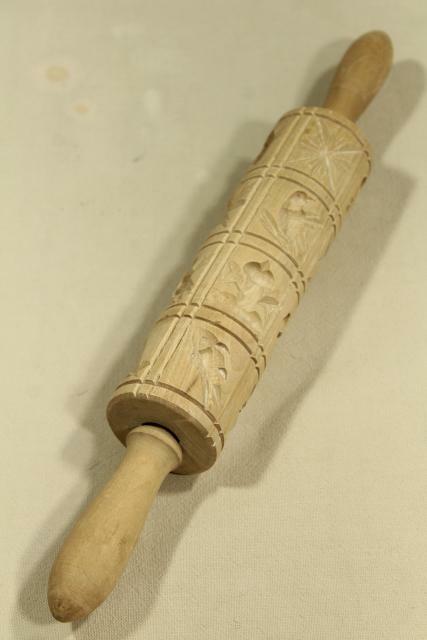 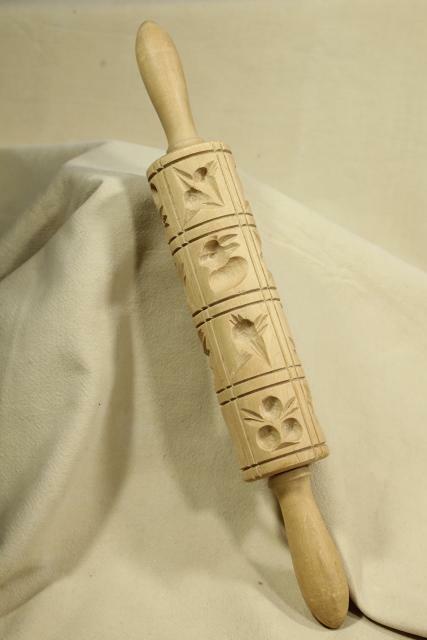 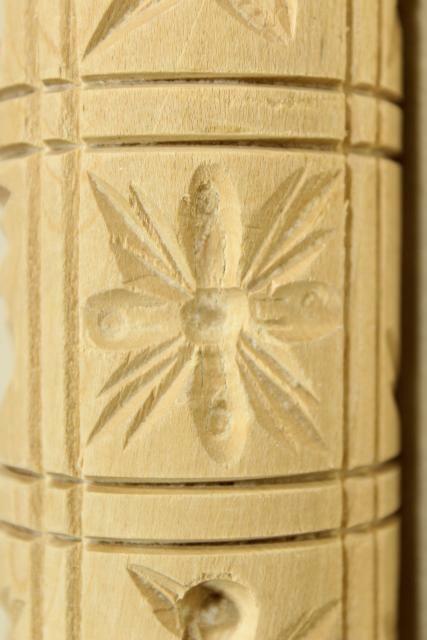 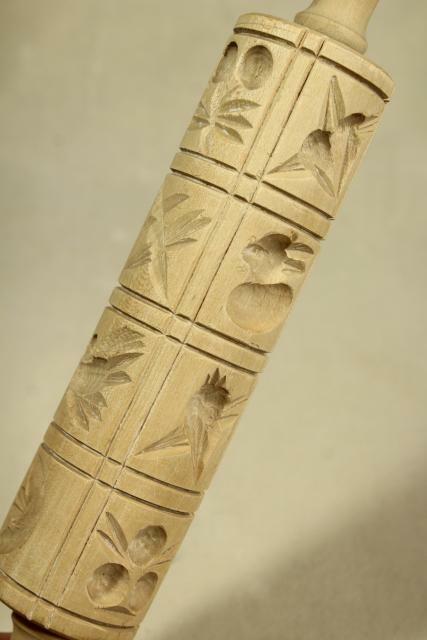 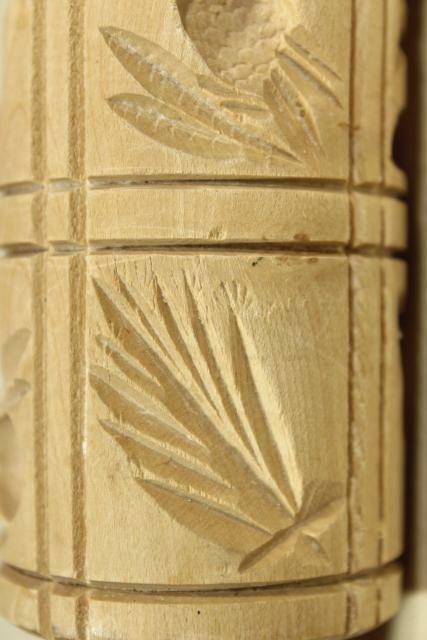 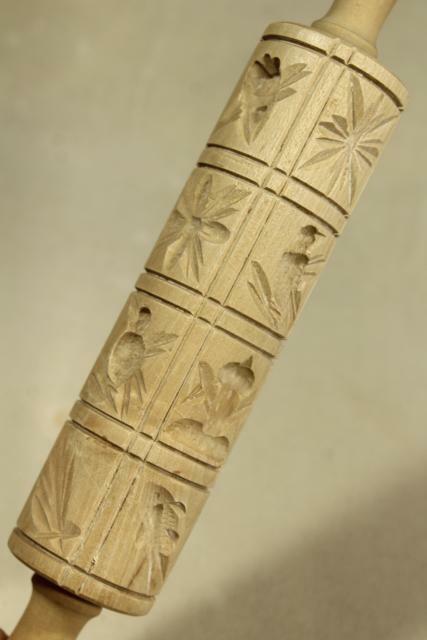 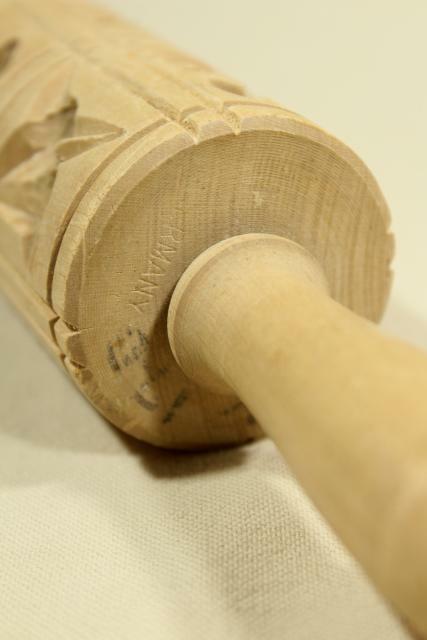 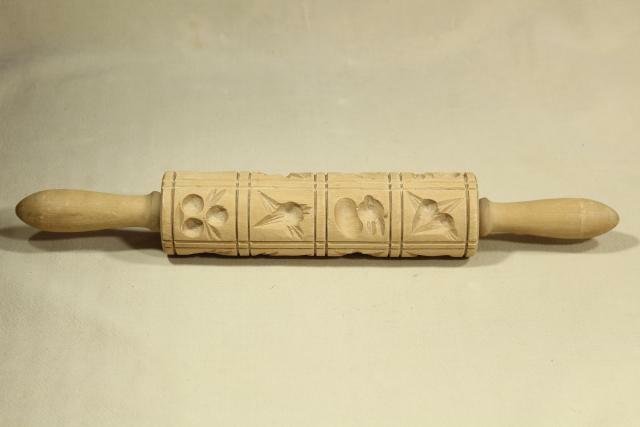 Vintage carved wood cookie mold rolling pin, for springerle / shortbread Christmas cookies. 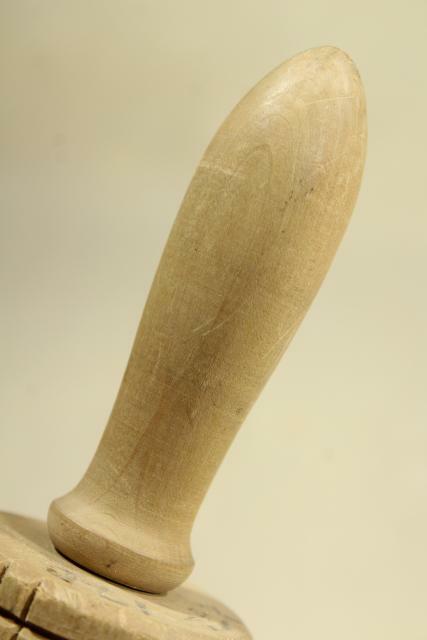 This measures 14 1/2" long end to end, 7 1/2" across the pin. 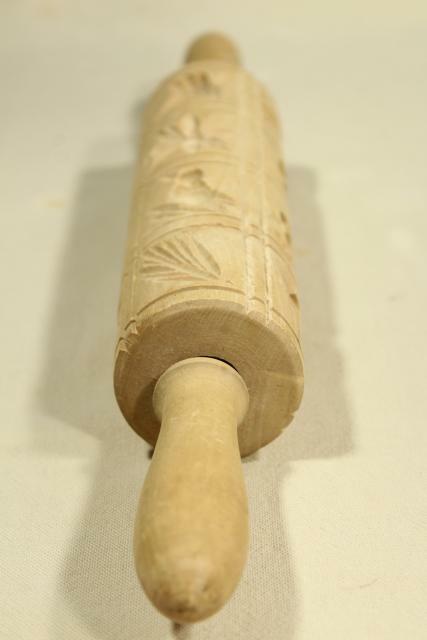 It's in very good condition, no cracking.